The Kenny Rogers Children’s Center is an outpatient pediatric therapy center whose mission is to improve the quality of life for children with special needs and their families throughout the community and region by providing a wide array of superior developmental and therapeutic services. The Kenny Rogers Children’s Center Sensory Garden is located on the grounds of the Kenny Rogers Children’s Center. 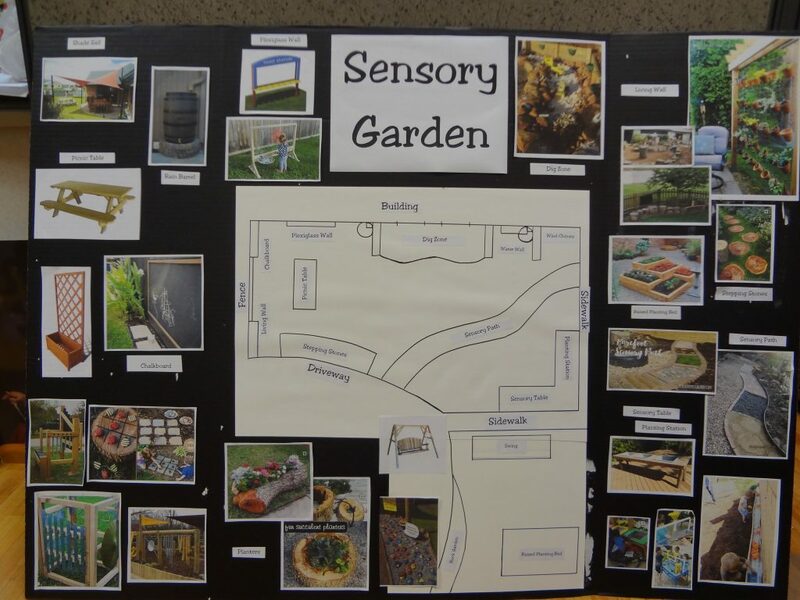 This 1600 square foot garden is designed for sensory exploration and enrichment providing a space where children of all ability levels can be immersed in the scents, textures, colors, and sounds of the outdoors. The garden will provide stimulation for the five basic senses (sight, hearing, taste, smell, and touch) as well as two other foundational sensory systems, the vestibular system and the proprioceptive/kinesthetic system. The garden will be fully accessible to children of all ages and to those who use any type of assistive device including walkers, wheelchairs, or crutches. The Kenny Rogers Children’s Center provides outpatient physical, occupational and speech therapy services to children with special health care needs ranging in age from birth to 21 years of age. The Kenny Rogers Children’s Center services children with all types of special health care needs and developmental delays including cerebral palsy, down syndrome, autism, spina bifida, traumatic brain injury, prematurity, muscular dystrophy, ADHD, sensory processing dysfunction, and many other developmental disorders.